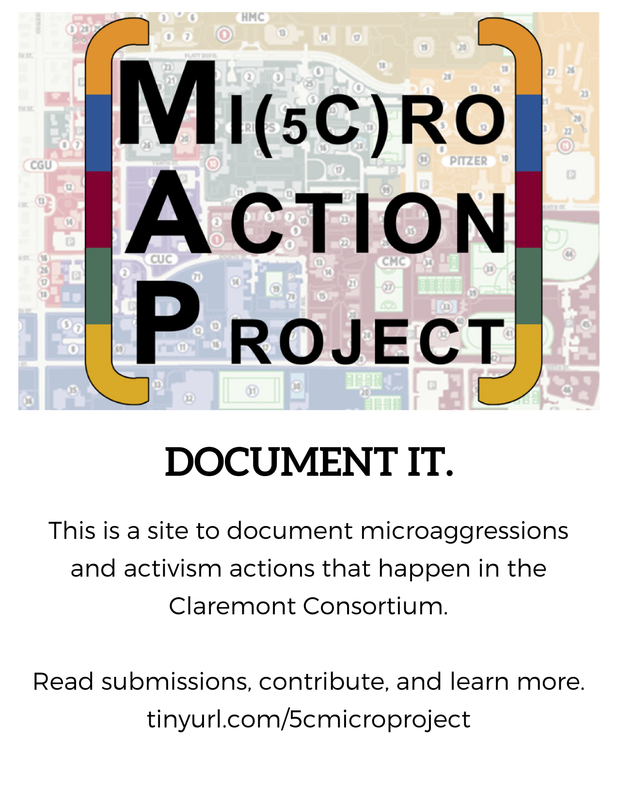 The Mi(5C)ro Action Project (MAP) is an ongoing, crowdsourced record of microaggressions and activism-related actions at the Claremont Colleges. 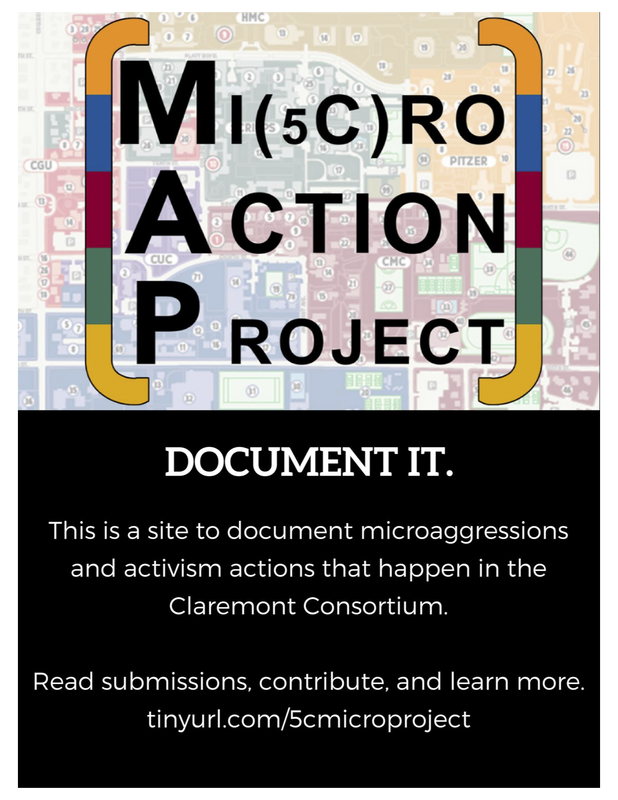 The Mi(5C)ro Action Project (MAP) strives to serve as an educational tool to be used to solve issues of marginalization in the Claremont Colleges community. Members of the community such as students, administration, faculty, and staff can use MAP as a way to address the issues the microaggressions highlight. By bringing these issues to attention, the community can collectively both create a more positive culture of inclusivity, mutual understanding, and accountability and introduce institutional changes to address these issues. Read submissions and/or contribute your own. ​Share the link with others (e.g. friends, professors, club members, team members) and discuss submissions you’ve read.